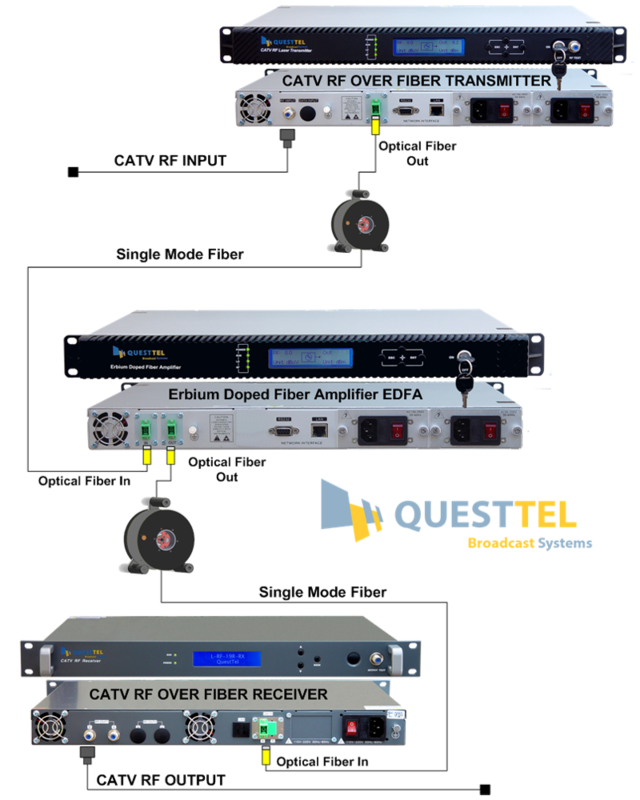 QuestTel's EDFA Fiber Amplifier is high end professional equipment, designed using advanced optical principles. It's Mainly used for the long distance optical fiber transmission of digital CATV signal telephone voice signal and data (or compressed data) signal. QuestTel's EDFA Fiber Amplifier is high end professional equipment, designed using advanced optical principles. The L-RF-EDFA-14dBm can be used in conjunction with the QuestTel's 1550nm optical transmitters and receivers. It's Mainly used for the long distance optical fiber transmission of digital CATV signal telephone voice signal and data (or compressed data) signal. 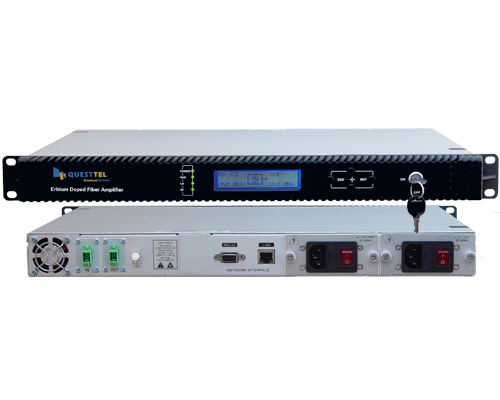 QuestTel's EDFA Fiber Amplifiers use high-performance erbium doped fiber and low noise pump laser, and built-in perfect embedded automatic monitoring system,ensures the excellent performance indicators.